..picture probably taken on the hand-over of I./JG77 by Major Ihlefeld to Hptm. Heinz Bär, appointed Kommandeur of I. Gruppe on 10 May 1942 and depicting the two officers alongside the tail of Herbert Ihlefeld's Friedrich marked with 103 victories. 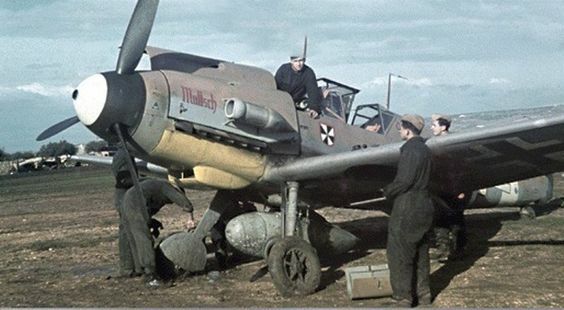 Note the stiffeners on the fuselage side above the tail wheel, still present on 7000-series Bf 109 F-4s.. Commentary source via Jochen Prien's 'History of Jagdgeschwader 77 Part 2 1941 to 1942'.